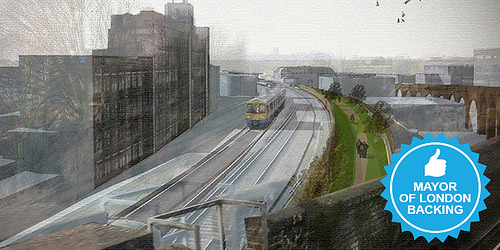 The Mayor of London has pledged £10K to Peckham Coal Line! Peckham Coal Line is an ambitious project to turn a disused railway line into a spectacular new elevated social space, which will link the communities of Peckham’s Rye Lane and Queens Road. The project, instigated by local residents, celebrates the area’s industrial history and strong local community. The project launched a crowdfunding campaign on Spacehive in late July and, to date, has raised over £15,000 and attracted almost 300 backers. The project proved so popular that it hit 10% of its funding goal in its first week.